Are you interested in getting an estimate for plumbing, heating or air conditioning services in Queens, NY or the surrounding areas? Don't hesitate to give us a call! We'll be happy to schedule your free consultation with one of our Queens plumbers or HVAC specialists. For your convenience, we've also included an online form below you can fill out to get started. 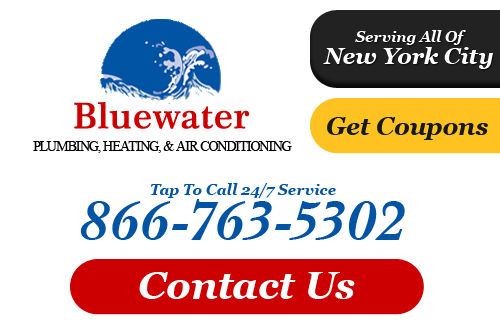 If you need to speak with an HVAC professional or plumber in Queens about your service request, call Bluewater Plumbing, Heating, and Air Conditioning at 866-763-5302 or complete our online request form.